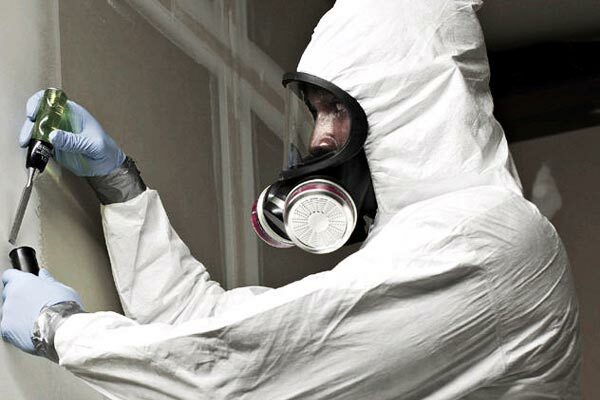 WHAT SHOULD YOU EXPECT FROM YOUR ASBESTOS CONTRACTOR? Is your contractor licenced and insured for asbestos removal? Your contractor must be licensed by WorkCover NSW to remove asbestos. If friable asbestos (powder form or crushable by hand) is to be removed, the contractor must have a Class A Asbestos Removal Licence. All contractor employees should be qualified in asbestos removal. You can request to be shown copies of the contractor’s licence and employee’s qualifications at any time. They should also carry Public Liability and Workers Compensation insurance. You can request to be shown copies of the Certificate of Currency for these insurances. Has your contractor had samples of the material tested for the presence of asbestos? If your house was built before 2000, it may contain asbestos. By law, the contractor must assume the material contains asbestos and implement all asbestos contamination controls during removal unless the material is tested and confirmed not to contain asbestos. Your contractor must have the samples tested by a NATA accredited laboratory, such as Regional Enviroscience. THE PRESENCE OF ASBESTOS CANNOT BE CONFIRMED BY VISUAL INSPECTION, SAMPLES MUST BE TESTED BY A NATA ACCREDITED LABORATORY, NOT BY THE CONTRACTOR, FOR THE PRESENCE OF ASBESTOS. If your contractor says you don’t need the sampling done, for your own safety & that of your family, you should reconsider engaging that contractor. If they don’t comply with the law and regulations relating to asbestos removal, it is unlikely they will implement proper controls to prevent asbestos contamination of your home. Your health and the health of your family would be at severe risk of developing an asbestos related disease. What price do you place on yours and your children’s health and safety? Can they provide a copy of the mandatory WorkCover Permit for Asbestos Removal from your property? If more than 10 square metres of asbestos containing material is to be removed from the property, an Asbestos Removal Permit must be approved by WorkCover NSW. This permit is issued to the contractor to allow removal of asbestos from the nominated site address and must be lodged 5 days prior to work starting. The permit must contain the following information: Asbestos removal licence number, licence expiry date, name of licensed contractor, ABN, contact phone number, work site details including address & start and end date of work, quantity of asbestos to be removed, method of enclosing removal area, the asbestos assessor’s details including name, phone number, the name of the person supervising the asbestos removal work. Have they notified neighbouring properties? Your contractor is required by law to notify neighbouring properties in writing, that asbestos removal will be occurring at your property between the start and end dates nominated on the WorkCover permit. What precautions will the contractor implement to prevent asbestos contamination of my home? The contractor should barricade the removal area to prevent access by non-essential persons. Signage should also be installed to advise that asbestos removal is occurring and that no entry is permitted. The removal area should be sectioned off from the rest of the house by sealed plastic curtains. The damp removal method should be implemented wherever possible and asbestos sheets should be removed in full, without breakage, to minimise the generation of asbestos containing dust. All removal areas must be vacuum cleaned using a HEPA vacuum (not a household vacuum) to remove all traces of dust. The entire area is then sealed using a glue/water mixed sprayed over. Once removed, sheets should be placed in a Hazibag for transport to the tip facility. Hazibags should be sealed before loading for transport. What proof of disposal should I request from my contractor? Your contractor must provide you with a copy of the tip dockets for the asbestos. They also must provide you with a copy of the EPA’s Waste Locate consignment for the asbestos removed from your property. The EPA now have a tracking system for all asbestos waste (Waste Locate) and your contractor is required to create a consignment in Waste Locate advising the site address, contractor details, how much & what type of asbestos material was removed and the tipping facility used for the legal disposal of the asbestos waste. This enables the contractor and yourself to prove legal disposal of the asbestos waste in accordance with WorkCover NSW and EPA Waste Locate regulations. If your contractor is unable to provide both of these documents to prove legal disposal, you may be liable for fines in the event of an EPA or WorkCover NSW investigation. Has the contractor provided a clearance certificate from a third party asbestos assessor? Your contractor must provide a clearance certificate, issued by a third party licenced asbestos assessor, stating that the asbestos has been removed from your property in accordance with the regulations and Codes of Practice relating to the Safe Removal of Asbestos. Your contractor cannot issue the clearance certificate, it must be issued by a third party licenced assessor after removal has been completed and they have come to inspect the site and confirm that all asbestos has been removed. All Areas Demolition Excavation are proud to state that we comply with all regulations and legislation relating to the Safe Removal & Disposal of Asbestos. Our company is fully licenced for all types of asbestos removal, Asbestos Removal Lic: AD 211883, Class A. All required documentation can be provided when works are complete and you can be certain that we have your family’s health and safety as our top priority and will comply with all regulations, legislation and requirements for safe asbestos removal. Your family’s health can be severely impacted by asbestos contamination. Ensure you engage a reputable contractor like All Areas Demolition Excavation to carry out your asbestos removal, for your family’s sake.